John Jay College Radio celebrates "Women Appreciation Month" and the power of NYC's inspiring women. Their event will be held in the Black Theatre of the John Jay College Of Criminal Justice campus. Writers, painters, entrepreneurs, and students unite to embrace their passion for the arts and promote the importance of self expression. STARDA will be performing all new music, dedicated to the "queens" in the audience. DJ GirlOnTheRocks will be hitting the stage for STARDA's set as well spinning records throughout the evening. Sundog Theatre has returned to with their 2018 "Soundtrack of Life" Anti Gun Violence program. 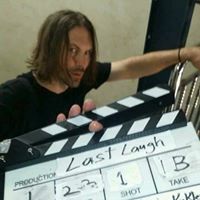 The company as not only asked STARDA to rejoin but has given him a lead Teach Artist position. This year is special to the young artist because he is returning to Wagner High, where attended and began to put out his first recordings to his peers. The Wagner is targeted to the sophomore and junior drama students This will be his second year in Mckee High and the students are extremely excited and motivated. Since his time in the classes STARDA has invited students to various comunity events and performances. STARDA enters his 27th years by bringing the elite of the S.I. Hip- Hop and Rock scene into the same room for the first time ever. Amendment 18 opened their doors to the headliners and their energetic crowds. The two worlds came together to support and celebrate STARDA's dream as all creatives from different walks of life, moving as one unit. Each performer has had a great deal of success through their years in the music industry. Though these fans have never seen their favorites share a stage, the room was packed from the beginning to the end. This bash was produced my STARDA's long time business partner Charlie Rock. This mixer was designed for the emerging C.E.O. and the aspiring business owner. The mixer featured and fashion show and a Q&A panel with some of the island's most successful music producers, and fashion designers. Produced by The MillennailWWE LLC and AWhere media, this event offered affordable wed development, social media, management and SEM services to all their guest. NYC Business Solutions also displayed free information on free resources and M/WE certification. The annual event took place in the Historic Tappen Park, where family gather for a park full of vendors and entertainment. The councilwoman continues to unity the communities with an event that offered multiple resources and kids rides, food, and giveaways. STARDA and the councilwoman have produced many events together and each time more and more people share their stories and goals of a better future in the not so forgotten borough. 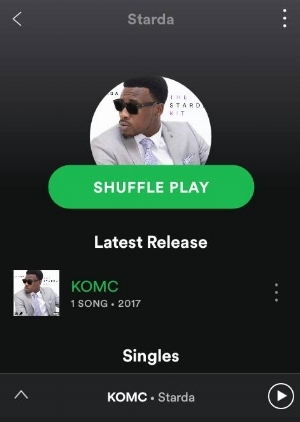 After the support of his community, fans, and label, STARDA has released his first single "KOMC" to Itunes, Spotify, IHeart Radio, and Tidal streaming platforms. STARDA has performed the record at festivals, schools, government events, concerts venues, and fashions. The 2016 "S.O.S. Stories of Staten" event series at Snug Harbor was inspired by the KOMC record, with its final night at the historical Music Hall showcasing various young Hip- Hop and R&B artist at the "KOMC Concert." The hard hitting drums keep the listener pumped up as they hear the story of the underdog and community leader ship. starda performs at "Live On The Scene" on bay st.
Jahtiek "MDXV" Long is a music artist/producer, event producer, visual artist, and more. He has truly grown to be a inspiring pioneer in the Staten art culture. This community event showcased multi genre artist making waves in the music industry. 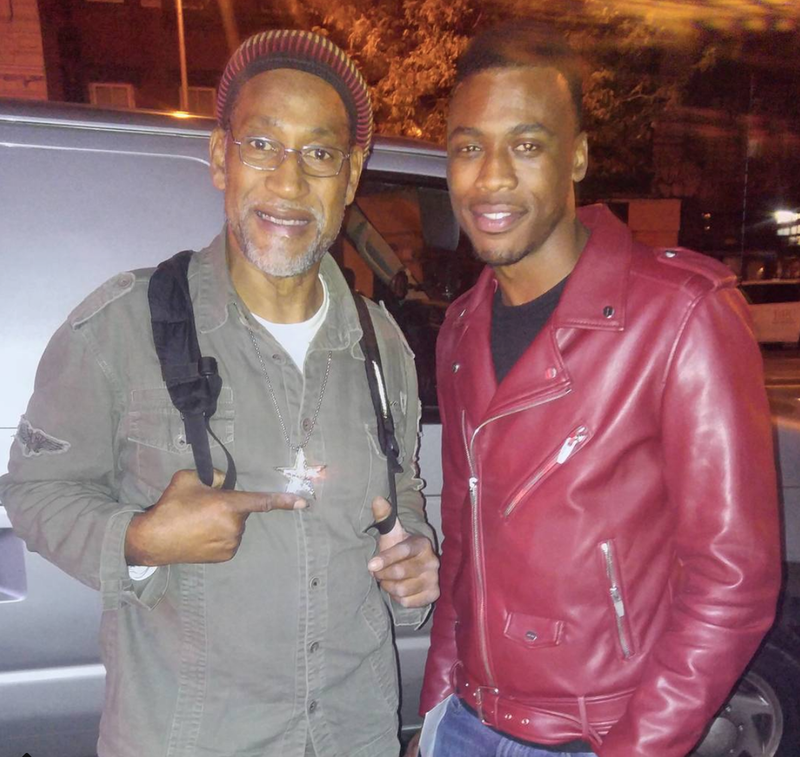 Jahtiek is known for his genuine care and love for the Staten community and creatives. His events are always packed with positive vibes and breath taking collaborations by various art lovers and musicians. 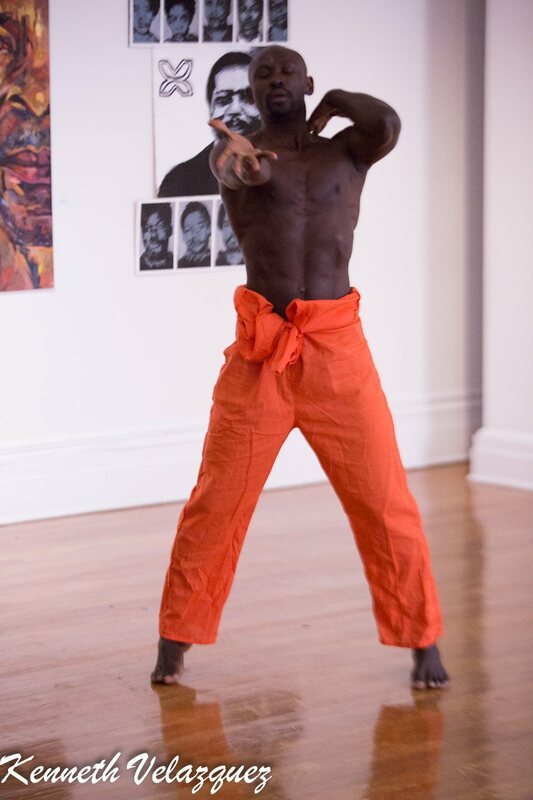 In 2018 Jahtiek Long curated the "Shaolin: Into the 36 Chambers" art gallery, showcasing over 26 artist. The event was held in the Common Gallery space of Snug Harbor Cultural Center and Botanical Garden, where STARDA cut the ribbon at for his 2016 "S.O.S. Stories of Staten" event series. The first gallery in the remodeled space, for the historical landmark. These two young African American artist have not only made history with these projects, but opened so many other doors for the generations to come. The first thing I did when I got the acceptance for the Snug Harbor gallery was bump to KOMC (by STARDA) on full blast. 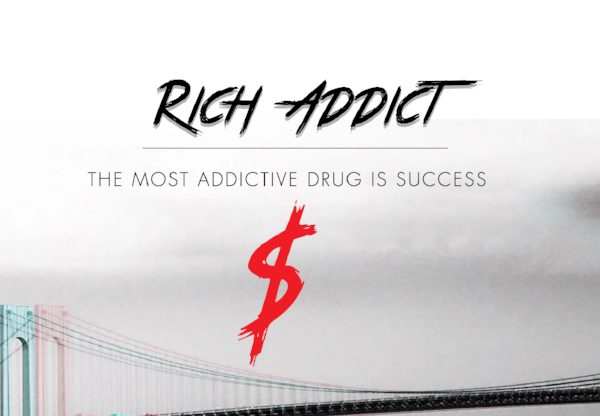 Rich Addict is a urban fashion brand emerging out of Staten Island, that has made great steps for the company. The brand's motto is " The best drug is success, and we don't want to be sober." The line promotes positive life style and the hard working entrepreneur from troubled beginnings. Rich Addict also works with community organizations to fight against drug abuse and homelessness in New York City. The brand will be working with STARDA on various releases and events. 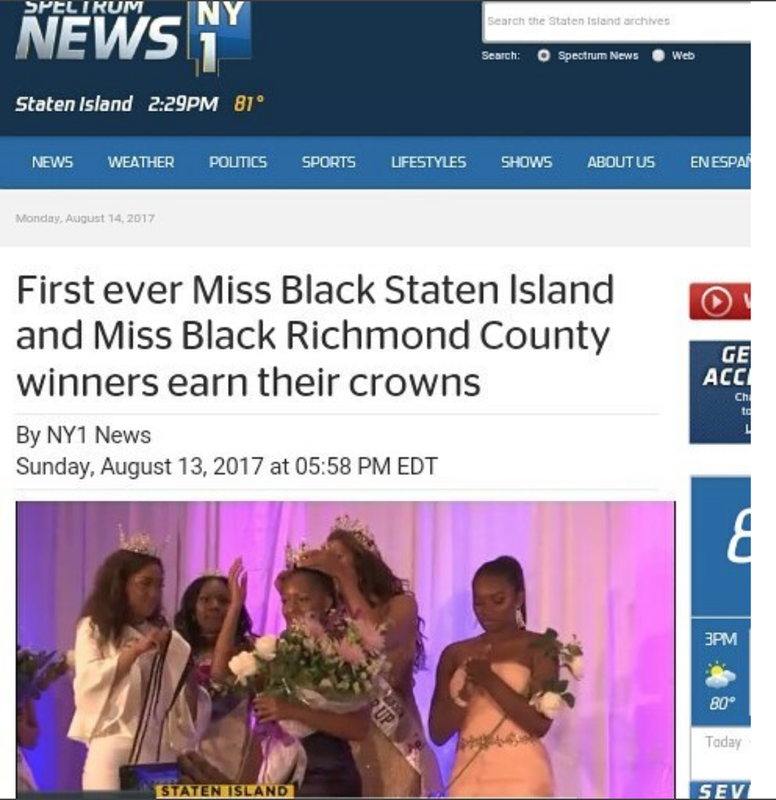 The 2017 Miss Black Staten beauty pageant was a huge success. The event was held in the Hilton Hotel, and the room was packed with community members, public figures, sponsors, and entertainers. The evening was hosted by the only female apart of Floyd Mayweather's Money Team, Latondria 'Ton Ton' Jones, curated by Karen Tuner of Kaliedoscope Mode Productions. 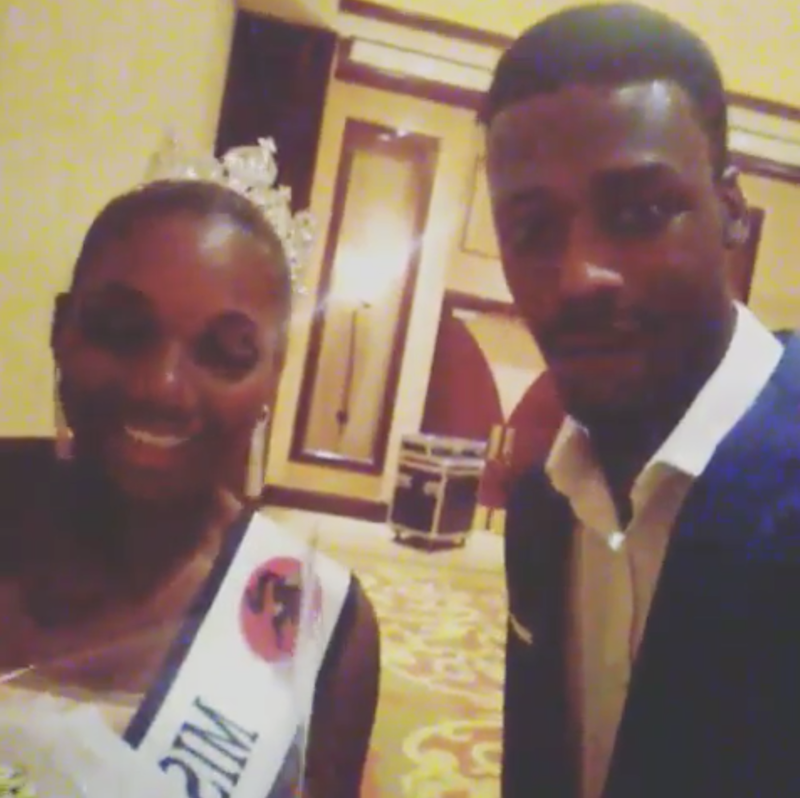 STARDA was honored with the opportunity to perform his single "KOMC (King Of My City)" for the young ladies and crowd before they crowned their new queens. 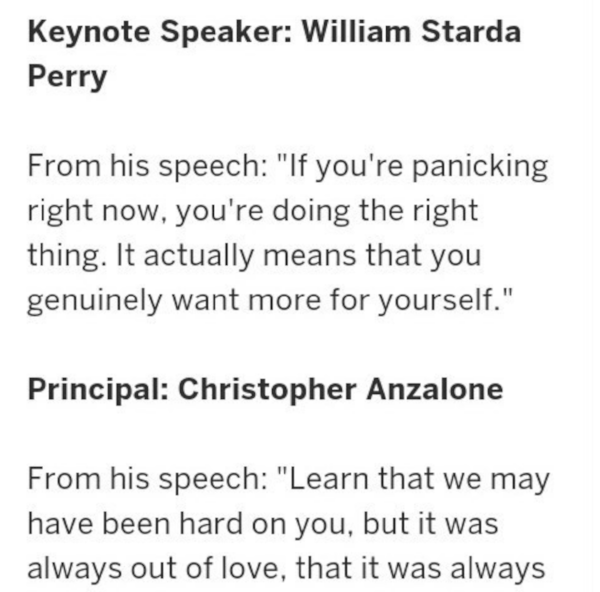 Concord High School invited STARDA to be their Keynote Speaker, for the second time. Though STARDA is Concord Alumni, he has been asked to speak by the schools brand new principal. The speech was encouraging the graduates to break out of their comfort zones, as they take on this new chapter in their lives. STARDA stresses the importance of networking and team building, while sharing his story of the years after his Concord experience. 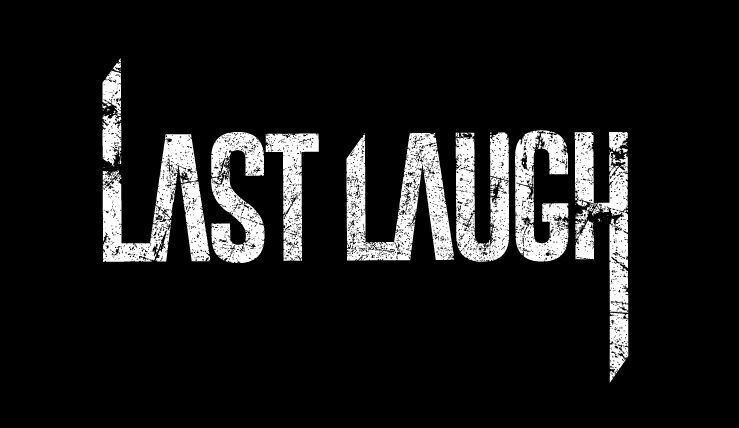 Guerrilla Revolution Productions is about to release their "Last Laugh" film. This independent horror flick is directed by the company's CEO Christopher Marciante. The plot twist isn't the only thing that will keep the viewer at their seats, but the real magic comes from the talented hard working cast. 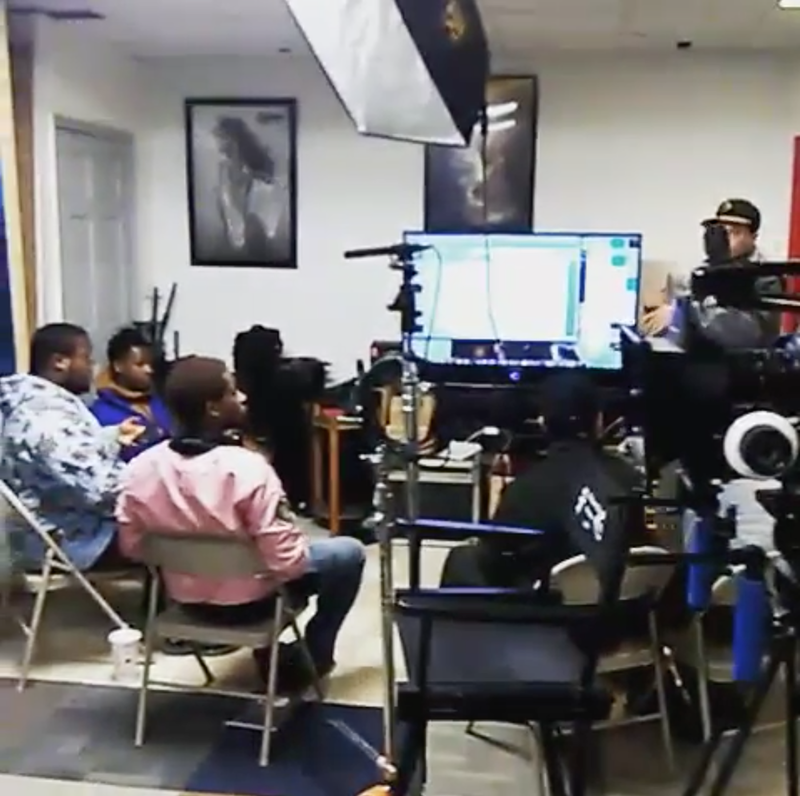 The film has been in production for two years and will be released to the public Spring of 2018.
starda makes the cover of "lady sen talks magazine"
STARDA made the Magazines first cover, with an interview about his experiences and a music artist, actor, and entrepreneur. The Projectivity Movement is known for great numerous community platforms, open to anyone with a positive goal. 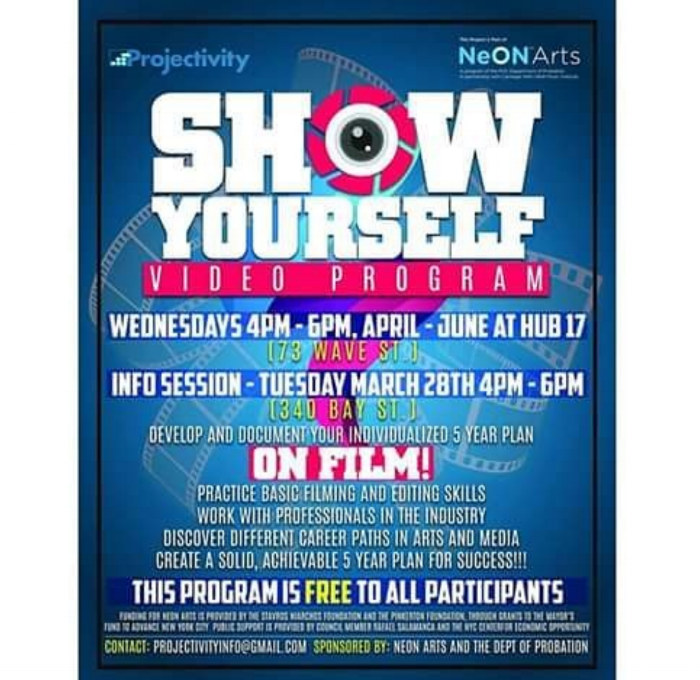 The organization teamed up with Neon Arts and the Department Of Prohibition, to creative a program that not only invites youth to learn about video shooting and editing skills, but create a five year business plan as well. The participants planned out their goals, used the Projectivity resources to write and produce their own personal interview, and showcase it in Jhon Jay College's Gerald Lynch Theatre. This program was funded by a city wide grant provided by the Neon Arts. The 2017 S.I. Spring Festival was thrown by Staten Island Talent. The company filled the entire Lyons Pool Park with 30 creative vendors and artist. All ages came to enjoy the weather and view along the water, while shopping and interacting with their local artist. STARDA performed a live set poolside, along with many other amazing bands, singers, and comedians. Curtis High School has thrown their annual Youth Empowerment event, hosted by the P.A.S.S. program. The day was full of workshops and vendors for both adults and students. The students was able to walk around and speak to various business, guest speakers, and non-profit organizations. STARDA was asked to perform and speak to the students. During his time with the students he offered city wide internships, invites to teen events and career advice. The New York Fresh Empire team through an amazing teen concert in the Bronx. 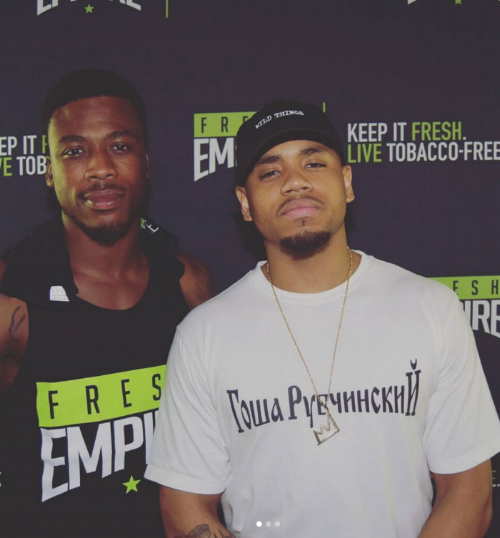 This event was hosted by another Staten Island native and award nominated artist Mac Wilds. As the venue packed in excited teens, they walked into prizes, dance battles, free food, and a hyped up DJ. The night closed with performances by the young Bronx rappers Contrast and Ignis, STARDA, and Mac Wilds. Councilwoman Debi Rose has been a huge supporter in STARDA's career. The two have been some of the first african americans to create the countless platforms they have over the years. This Black History was created to celebrate all community leaders and dreamers of color. A night full of entertainment by islanders of all ages, awards, refreshments, and speeches by business owners and public figures. After STARDA's performance in City Hall for the Martin Luther King J.R. event (more on the event found below), he was asked to present the same spoken word piece the council heard that night. STARDA teamed up with Hub 17 for a memorable community showcase. The event featured the island's newest wave of emerging artist. The crowd was full of supportive family and friends that kept the energy alive for for each artist that touched the stage! The event was also a networking opportunity for all of the talent and their new fans. The headliners of the night were STARDA's first group of artist coming out of his team, PC x The Collective. PCxTC gave the crowd a amazing performance, thought it was their first time with the whole Collective crew on stage. The night came to a end after a performance by STARDA and the room went insane! After years of interning for the label, STARDA signs on to the W.A.R. Media family as an artist. Founded by Guy Routte and Hip- Hop artist Pharoahe Monch, W.A.R. has been home to some culture heavy hitters like Statik Selektah, Jean Grae, Pete Rock, Mickey Factz, Combat Jack, and more. 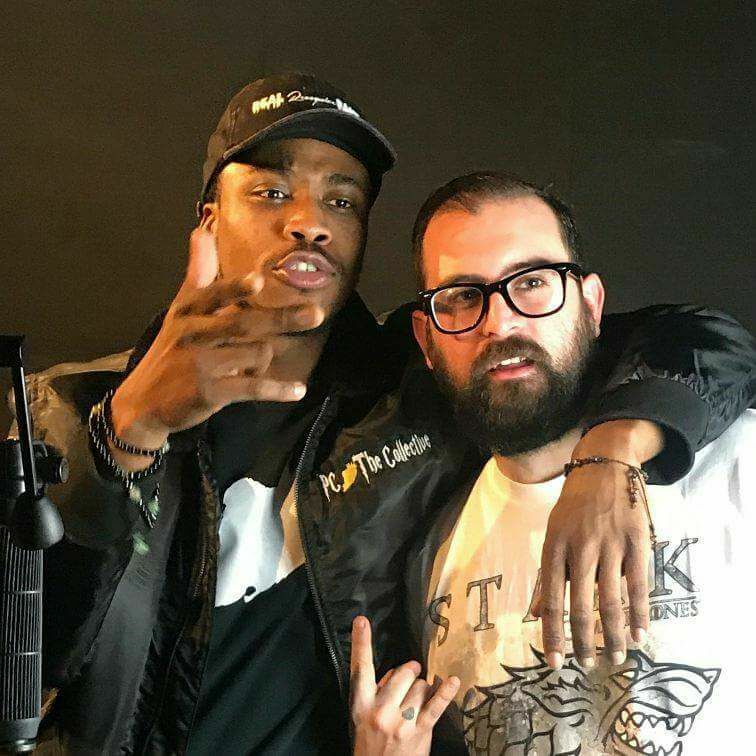 STARDA will be releasing music with W.A.R. Media for multiple projects. The Theta Alpha Graduate/Professional Chapter celebrated Valentines day by hosting a night dedicated to love letters of N.Y. artist. The event took place in Manhattan, where creatives of all boroughs shared their passion for the craft, lovers, memorable moments, and more. The of Theta Alpha expressed their love for their sorority sisters and the community. STARDA opened up the night with music that glorified the queens of the city. STARDA was invite my Councilwoman Debi Rose, to perform in City Hall for the 2017 Martin Luther King J.R. event. The event was filled with congress members, community leaders, and students around the city. 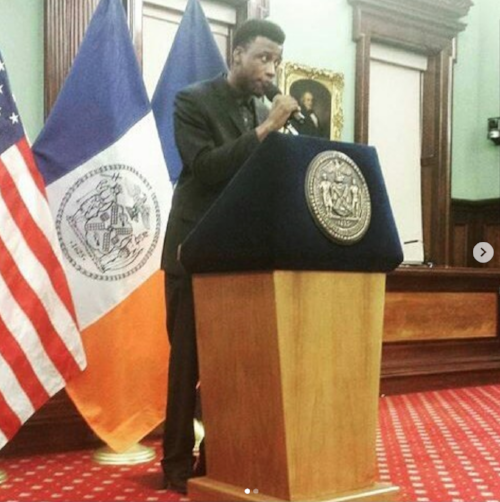 This event was City Hall's first M.L.K. in 20 years. During the event there was talk of a brighter future. while our nation faces hard times. The council brought the state's creatives and dreamers together for a inspiring night of poetry, awards, and dinner. This amazing event was put together to help the family of Isabella fight A.L.L. Leukemia. This strong young lady has been through so much as a young child. Her family stays in great spirits. The profits of this event went to the family and more importantly let the family know they are not alone. The event was inspired by the " Not Like The Other Kids" campaign. 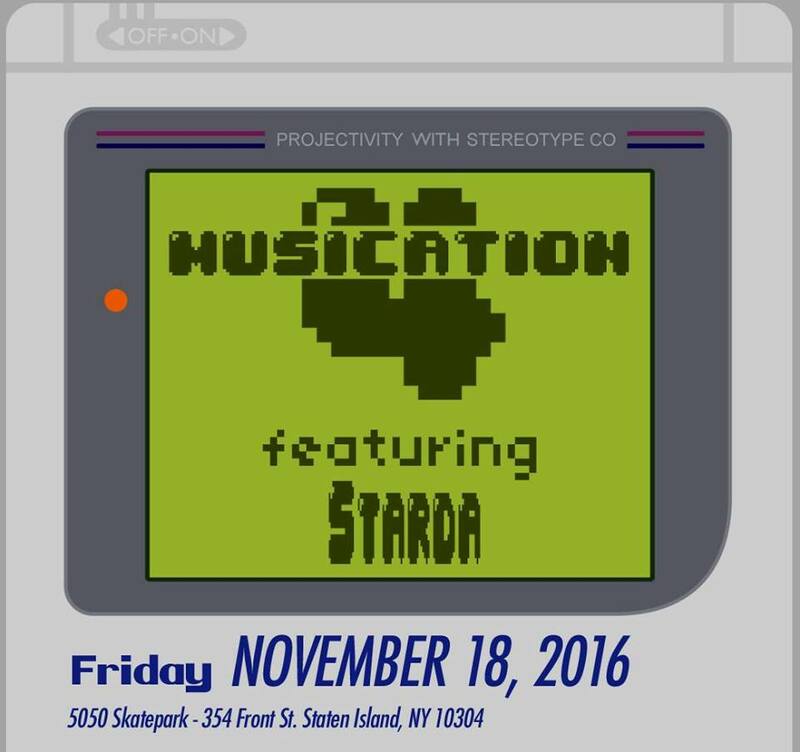 The Annual Musication event is produced my Stereotype Co. and The Projectivity Movement. This huge event is thrown at the 50/50 Skate Park on Staten Island. The Island's elite creatives all have a hand in the experience. The platform have been the introduction to the S.I. art culture for many. All ages gather to see live music, live art, dancers, network and more. Each the event gets bigger and better, so be on the look out! 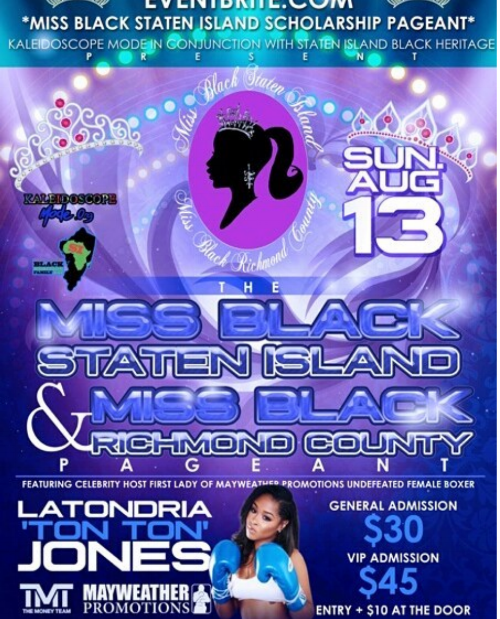 The Annual Staten Island Black Heritage Family Day, is a day of celebration for the whole community. The streets are filled with people and floats. The day honors strong black leaders in the community. Numerous awards and performances kept smiling faces unified on during this amazing event. STARDA was given the opportunity to ride on his very own float. He was also one of the performances when the floats made their final stop at the Historical Tappen Park. STARDA brought his little brother and now one of his up coming music artist, MAYER along for the ride. 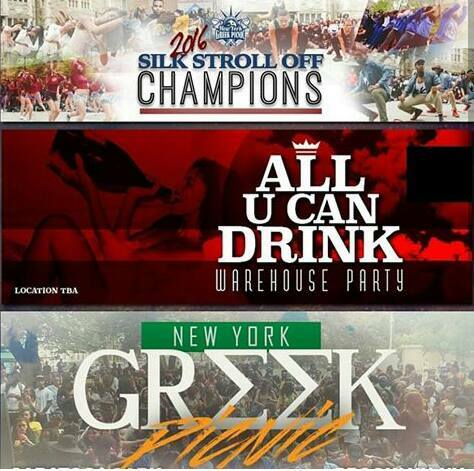 The annual N.Y. Greek Picnic is one of he biggest Greek Life events in the city! Fraternities and sororities come from all over to celebrate the summer! There are a string of events produced by the orgs. But only at the picnic you will find the steppers battling for the champion's title. The FREEME BRAND is a creative urban brand that has been making waves in the S.I. scene. They produce expressive pieces in both gallery settings and in their fashion. The show showcased their newest items and the relaunch of the brand. The visual behind each message are so bright and powerful, its hard not to join the movement. richmondhood Co. is a staple in the Staten fashion world. The company has ties with the Wu Tang family and the hearts of the community. With great products that truly represent the S.I. culture. This annual block party is known around the borough. Bringing together artist, performers, and media. STARDA had the privilege of hosting the 2016 block party. The event was another huge success, leaving the community ready for the next amazing events. Canvas Institute opened its doors to the public in January 2016, hosting many successful events with great attendance and gaining the attention of local and international press. Leading the charge as the first multidisciplinary arts and culture space in Downtown Staten Island, Canvas seeks to increase the positive impact of community driven artists, scholars, and civic leaders. Canvas' public programs, discussions, and quarterly art exhibits attract local and visiting audiences promoting open dialogue, creativity, and intentional action. All Rights Reserved. CANVAS, 2017 - 2018. The Staten Island Arts has offered free classes in the S.I. Ferry terminal S.I. Arts Cultural Lounge. The classes target ages 13- 25 for this 6 week program. Ending in a free recording session. Teen and young adults writers, poets, lyricists. STARDA taught a 6 week freestyle writing program. Focused on youth using their voices as a tool for social change. Workshops were facilitated by STARDA, Emiliana Castillo (a.k.a. Nani Castle), and Christian Penn from the Projectivity Movement including sessions on writing, performing, and recording their work. The project ended with a showcase at the S.I. Ferry terminal for each participant, headlined by STARDA and Nani Castle. Pretty Blanco is the first new artist coming out of the Dead Life entertainment group. 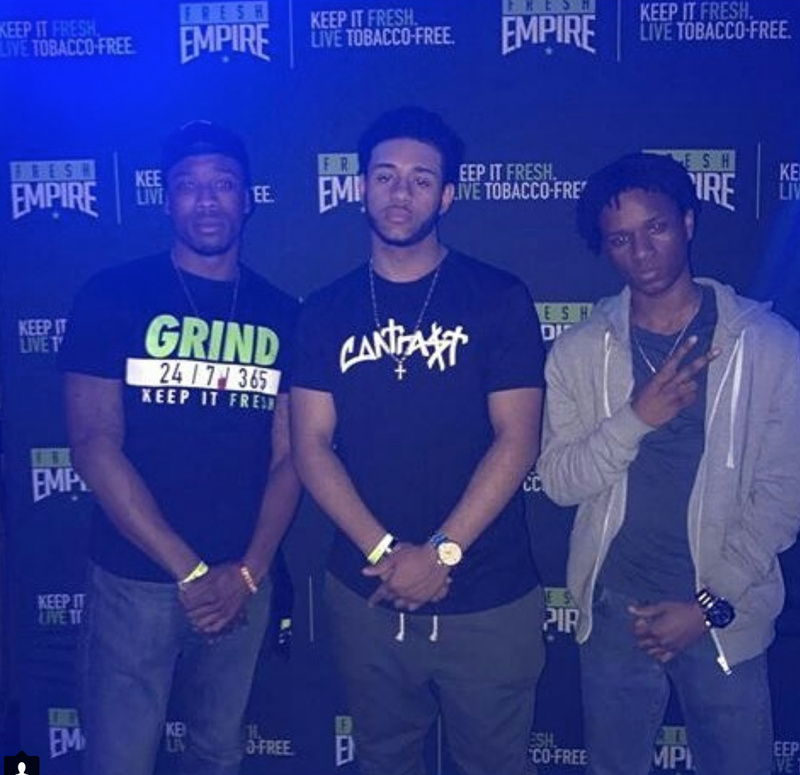 The company was created by another young Staten Island talent, Young Lucid. Lucid has created various projects since his middle school days. 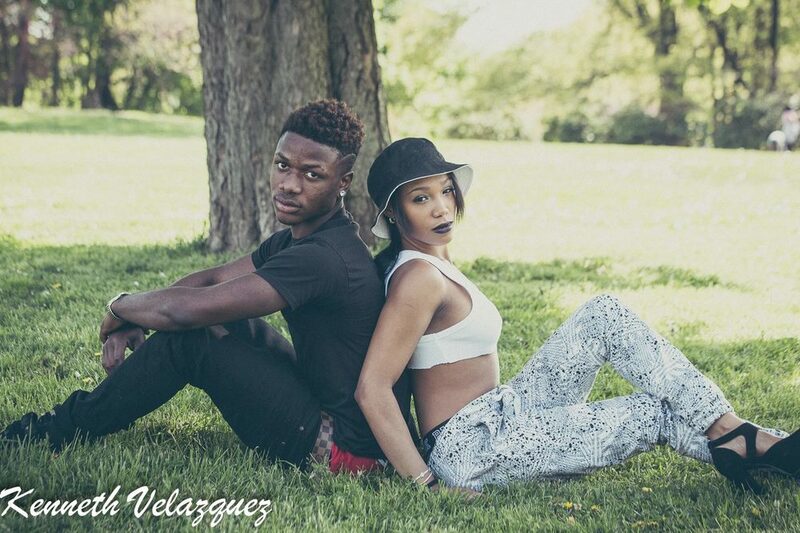 Now coming out of high school, then young entrepreneur has now created platforms for his peers to be heard. The line up for the Blanco release party was filled with some of the most trend setting artist coming out of the borough. The engery in the room was a great combination to represent the "rockstar" vibe of the CD. The Downtown Brooklyn Partnership held their 10th annual celebration in Albee Square, apart of their summer event series. The day was host by Video Music Box's own Ralph McDaniels. Full of talent live graffiti, a dance party and Hip Hop workshop by H+ Hip Hop Dance Conservatory, sneaker design contest, and opening acts like Lil Mama, Starda and other talented youth from the community. 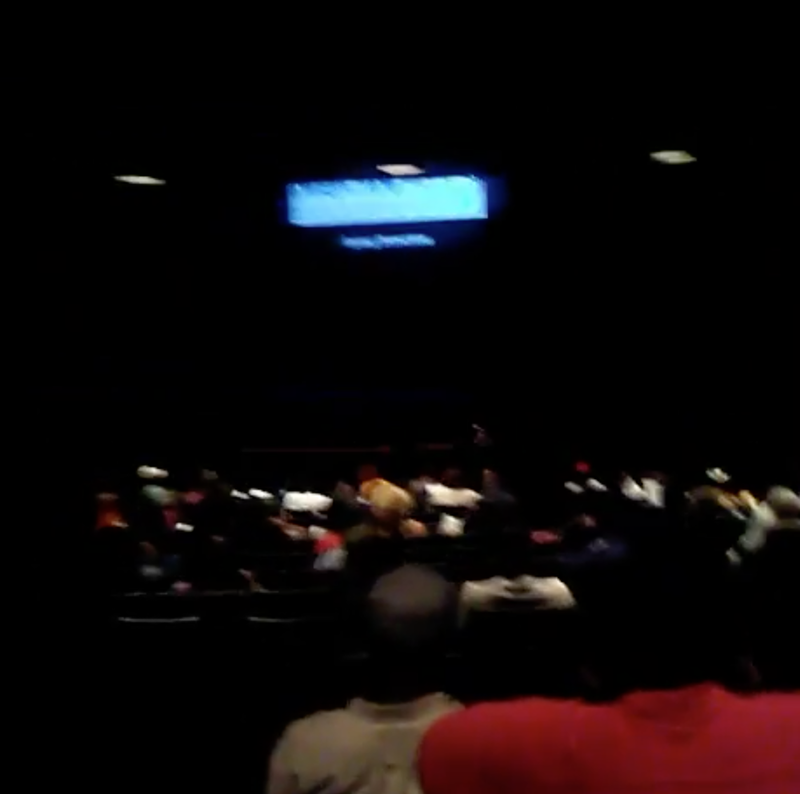 Starda was given the opportunity to preform by SunDog Theatre, apart of the Anti- Violence programs. Starda hit the stage with renown human beatbox, D- Cross. Starda was able to meet and open for one of his biggest influences, Big Daddy Kane. The pubic and city council members all gathered around the Downtown BK Get Down stage for a day of awareness and self expression energy through the arts. Starda was brought in by SunDog Theatre Inc. to perform live and speak about there school program. They 15 week course used music and performing arts to create a platform for Staten youth, to express themselves against gun violence. SunDog also brought out a few students from Curtis High School, to DJ and video record the event. During the event one student from the DJ program was given to opportunity to spin next to established DJs, as well as rock the stage for Starda's performance. The event was sponsored by Power 105.1 radio, Ralph McDaniels Video Music Box, True 2 Life, NYC Criminal Justice and more! Stapleton's Historical Tappen Park was full of inspiring vendors and community leaders. Starda has been a active teaching artist over the past two years. In this short time, he has taught Songwriting, Spoken Word, and Entrepreneurship, in over a dozen middle and high schools. Working with SunDog theatre, a program he was introduced to as a student in 2008, Starda returned in Feb 2016 to Curtis and Mckee High School in Staten Island, NY. During this 15 week course, students have learned how to create their own lyrics, poems, music production, record and group CD in MOON Studios, and stage production. 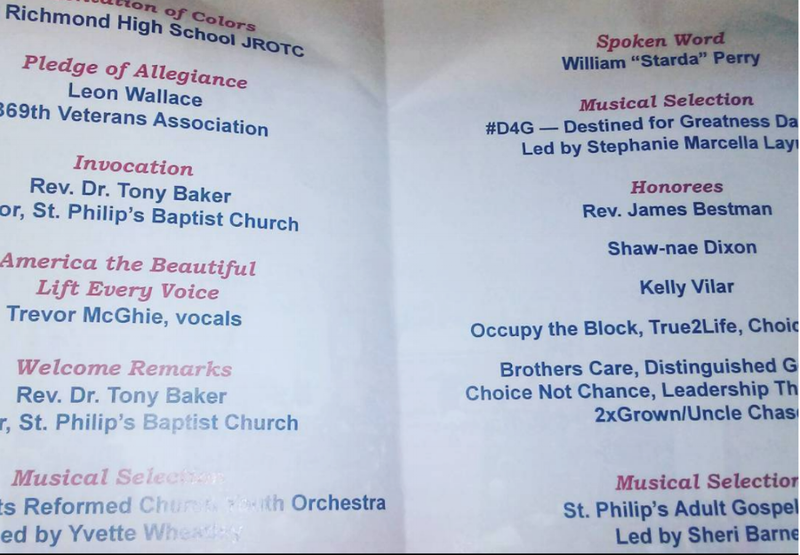 The students have been given the opportunity to perform at Wagner College for a "Teen Youth Summit" as well as Staten Island Museum, for council member Debi Rose, Staten Island Advance, New York 1 News, and family and friends. The pressure was on, but each student used their new found confidence to give the world a great show. Council member Debi Rose sponsored the initiative, originally brought forth by Mayor Bill de Blasio. According to the District Director of Communications Vincent Gragnani, Sundog Theater received $18,000 per school to fund the program, making a total of $36,000. Providing a opportunity like no other for these talented youth. A platform to express themselves freely, as well as a glimpse into the music industry. 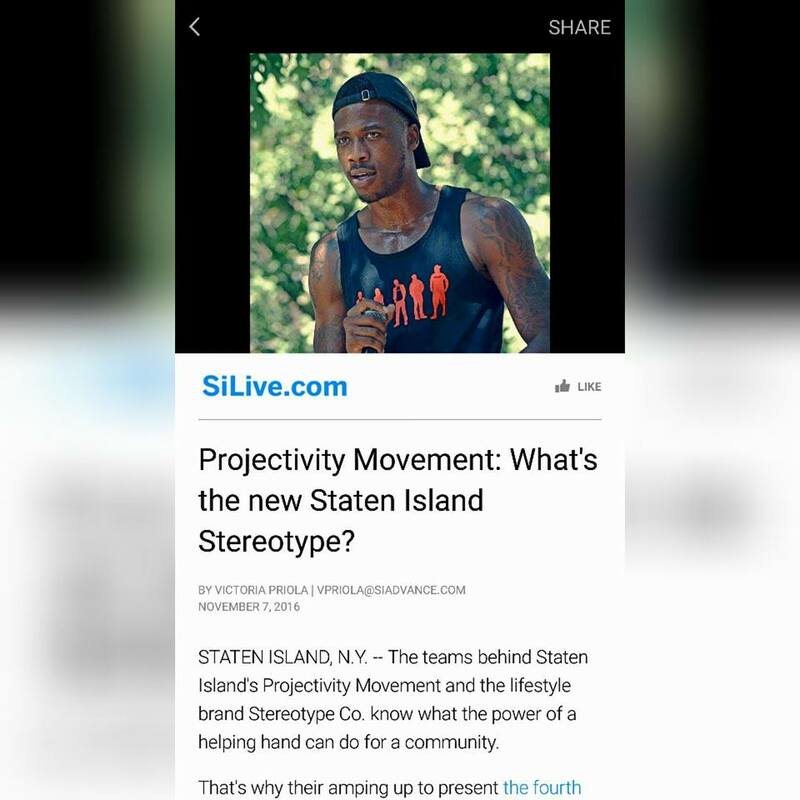 Projectivity sponsored the opening day of the 2nd Annual SOS: Stories of Staten. There artist, locals and council representatives all join to cut the ribbon to the Exposure Art Gallery, full of young S.I. art. These artist were not only the first wave of SOS visual artist, but the first artist ever to be displayed in the Snug Harbor Commons Gallery space. Christian Penn, CEO of Projectivity asked the SOS guest of all ages to speak about their Staten stories and what inspires them to follow their dreams. Check out the video above to see what they had to say! In 2014 Starda returned to his old high school five years after graduating, as a teaching artist. He was given the opportunity to stand beside his past educators and influence the youth, just as they did for him. 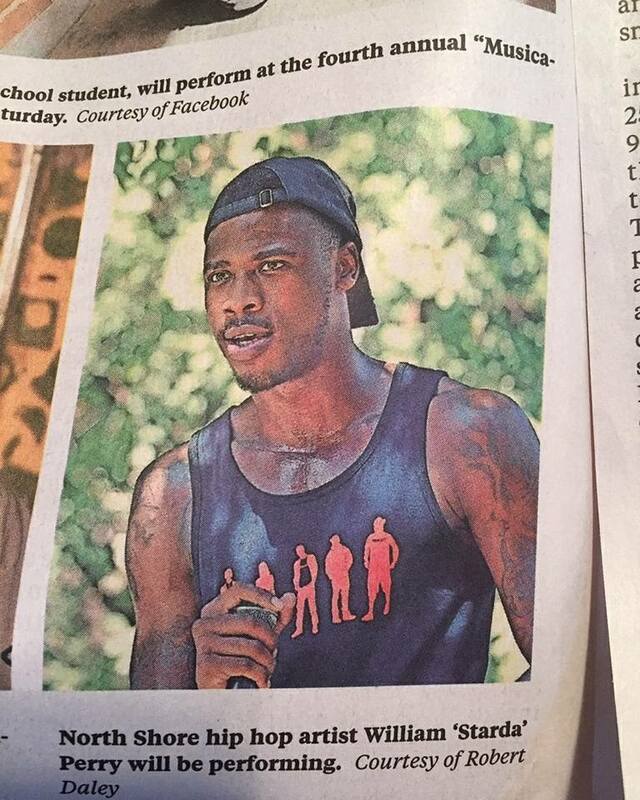 Just days after the SOS "King Of My City" concert, he was able to bring the same opportunity to rapper Young Lucid. The two Hip Hop artist met when Young Lucid was 14. Now a 19 year old graduate and active music artist, he has returned to Mckee High School just one year after receiving his diploma. Lucid is also CEO to his newly launched creative agency "Dead Life." He came into Starda's anti- violence creative writing classes in both Curtis and Mckee High to share his experiences out of high school and straight into the music industry. Encouraging the youth writers to follow dreamers and push through the tough times the real world may bring. Students were able to network with Lucid and play some of their recorded material that they had created prior with SunDog Theatre and producer Charlie Rock. Fresh off of the SOS stage both artist give advice on how to rock a stage, as the student prepare to performance for their council member in S.I. 's Borough Hall. Starda and his business partner Charlie Rock (drummer/ producer) sit down with Staten Island Advance reporter Lauren Steussy to discuss the 2016 "SOS: Stories of Staten" event series. The two speak about their love for the borough and how the up rise of the young culture scene has shaped their creativity. Just a few days after cutting the ribbon, the interview was held in their new art gallery in Snug Harbor Cultural Center & Botanical Garden's Commons Gallery space, closing June 4th 2016. Full of art by young visual artist Starda and Rock have hand selected varying from the ages of 17- 26. Starda and Rock also give Si Live a live freestyle during the interview. Since the interview the SOS events made the Staten Island Advance newspaper and SI Live website every week for about two months. Stereotype Co is a collective and lifestyle brand that connects the art, music and fashion world with the community. Since 2008 the people met, places and experiences inspired this booming brand to expand from just t-shirts to a full line featuring Hats, Shirts, Jewelry, Accessories and Art. All items are screen printed, assembled, produced and designed in Staten Island NY. Stereotype have been supported on a global scale, but have a heavy hand in their NYC communities. Producing integrating event platform and multiple creative platforms grade schools for young dreamers. Stereotype has come together with Starda to produce the "KOMC (King/ Queen Of My City" gear. Inspired by Starda's first single off his debut album, "SOS: STARDA of Staten" releasing Spring 2016. 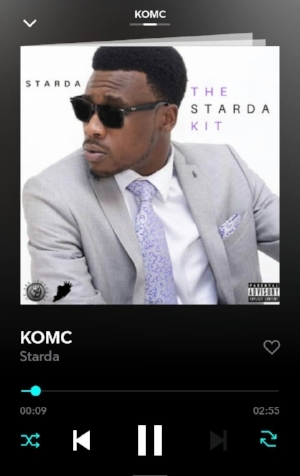 The "KOMC" song reflects on Starda's experience in the borough and practice of community leadership. Starda believed with Stereotype's CEO David Noodles felt like a great idea because he is believe to be another young king looking to bring positive energy to the urban scene. The "KOMC" is the first set of merchandise released from the the newly signed W.A.R. Media artist. STARDA’S 2nd ANNUAL “Stories of Staten” event series is a celebration of the creativity and unity of Staten Island artists through music, visual art and fashion. The 5-week series is a community partnership with the Smithsonian Affiliate, Snug Harbor Cultural Center & Botanical Garden focusing on inspiring, motivating and connecting the community through, “Stories of Staten”. 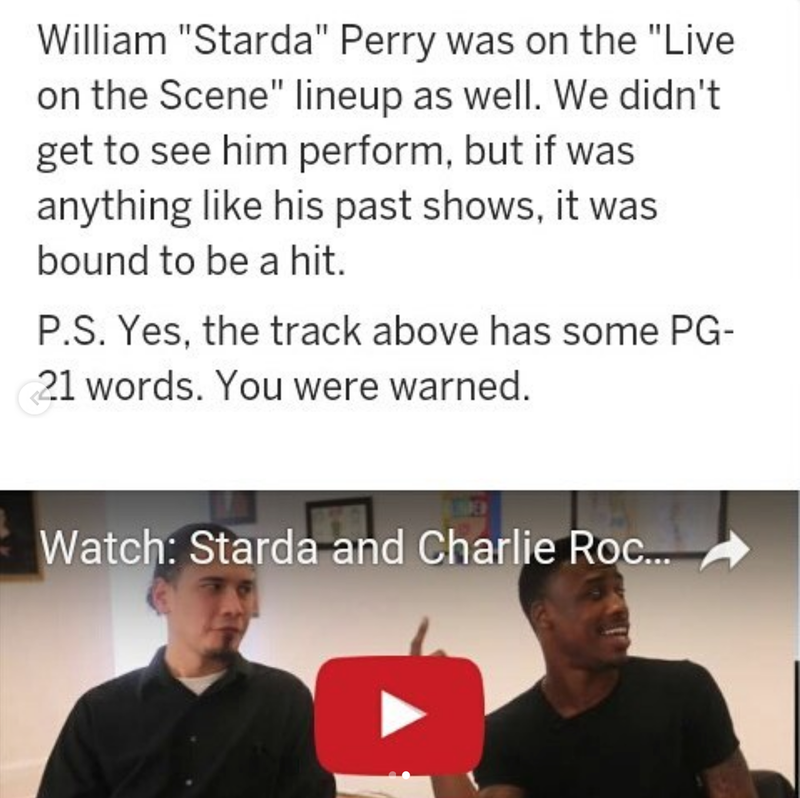 Curated events by William “ STARDA” Perry (Hip Hop Artists, Songwriter, 25) and Charlie Rock (Drummer/Producer, 24). S.O.S. was made possible, in part, through the generous support provided by Council Members Debi Rose and Steven Matteo through the All Access Arts program. SunDog Theartre Inc. brings Art a Catalyst for Change to both Curtis High School and Ralph R. McKee CTE High School students in, Council Member Debi Rose community. Since February 2016 students, have dedicated their time after school to record musical pieces. Their project is titled "Soundtrack of Life" the goal is to create songs related to anti-gun violence on 'how to live your best life' and how to be a better communicator. At this after school program students are given the opportunity and resources, to address negativity by expressing themselves through musical outlets with the assistance of professional teaching artist and producers. Starda has worked along side renown musician Jennie Ortis in these classroom, structuring these classes to not only build community leaders, but possible future superstars as well. The Staten Island Advance has released their line up of S.I. "Boom Babies" to watch during 2016. With STARDA's 2nd Annual SOS Stories of Staten kicking off April 9th and his SOS STARDA of Staten album releasing in June, he lands number four on the list. The list holds some of the boroughs top visual artist, educators, dancers, music artist, establishments, and more!! Si Live's Reader Choice has stirred up things on in Staten Island. The votes are open for Staten Island's best!!! Everything from artist to venues have been nominated for the best in their field. Voting is now open to public. 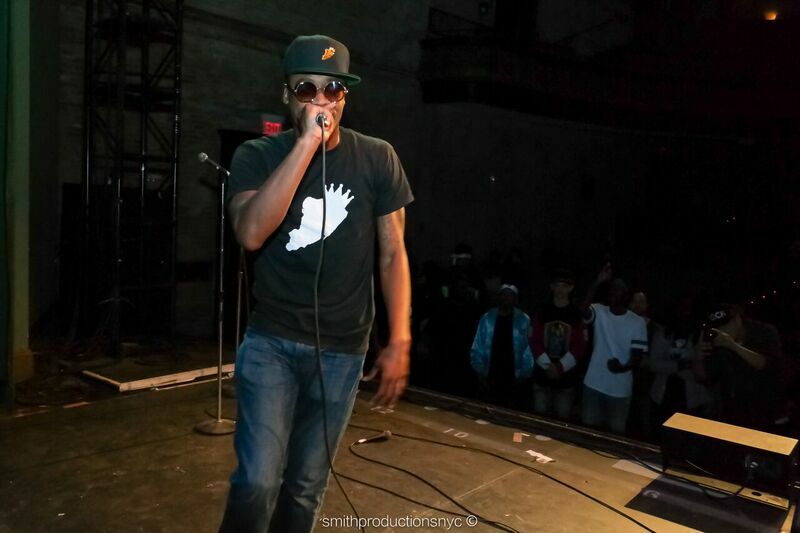 Starda has been nominated for Staten Island's best Hip Hop Artist. In Starda was honored by the Staten Island Arts, New York State Assembly, New York City Council, and Congress with the Staten Island Emerging Young Artist Award. Since then the borough's top organizations and venues have been extremely supportive of Starda's music, and work within the community. Winners will be announce in Nov 2015. Starda prepares to share the stage with some of the world's top established and seasoned Jazz musicians. See full article from SI Live here!!!! Fun fact: Starda was actually 24 years old during the time the article was written. Starda continues to reach his hands in everything flied the entertainment business has to offer. This time finding his way into New York's most exclusive clubs scenes. Starda's brand has grown over the years to be one of the most promising out of young talents in the big city, by giving unforgettable music performances, and offering various events/ services to his fans. The young emerging artist has always promoted positivity and taking on life's challenges by working hard towards a fun lifestyle. Starda has been branding and promoting his own brands such as Swagg Durty, Forever Live Fly, The S.O.S. (Stories of Staten) Concert Series, various community events and his personal branding for his music. Intergrading music, fashion, visual art, education, and performance arts in each brand, allowing all walks of life to join as one in the name of dedication of "the craft." Now after all that hard work YOU can enjoy yourself and party like a star with the city's high rollers. Starda has joined the HypeList Team as their newest VIP Nightlife host. Offering VIP access and unlimited bottle service FREE in all the NYC hot spots, every single night!! The Universal Temple of the Arts has been shaking stages for over 25 years, presenting their annual Staten Island JAZZ festival. UTA founded Staten Island JAZZ in 1988 with the intent of both celebrating and preserving the American- born music genre. A genre that has influenced many others since the beginning of it's time. The UTA has kept the crowds coming year after year by producing extraordinary shows with legendary artist. Past performers have included The Sun RA Intergalactic Arkestra, Kenny Barron, Reggie Workman, Barry Harris, Bluiett, and more. UTA's Staten Island JAZZ began as a series of community workshops, directed by internationally known jazz artist and educator, Dr. Makanda Ken Mclntyre. After Starda's S.O.S. Stories of Staten Concert Series production (for more on S.O.S. scroll below) the UTA reached out to Starda with the idea of celebrating the huge Jazz influence within Hip Hop music. A first for the renown production. UTA believes Starda's participation will not only bring a great twist to their amazing line up, but get the youth engaged with the Jazz culture as well. After kicking off the S.O.S. Concert Series in the Snug Harbor Cultural Center & Botanical Garden's legendary Music Hall, a childhood dream for the young artist, Starda will be returning to the Music Hall's stage just months later to perform live with some of the world's most talented and experienced Jazz artist and educators. Learn more about Universal Temple of the Arts. Get your Staten Island JAZZ Festival 28 tickets HERE !!!! Starda has entered the new school year as one of the newest members of the Hip Hop 4 Life team. Hip Hop 4 Life is an award-winning community organization. The HH4L mission is to develop strong, dynamic youth leaders who are committed to their personal growth and academic achievement. Using their tools for success to provide opportunities and resources for students to broaden the life skills essential for character enrichment, personal and professional development, healthier living and postsecondary accomplishments. The org's programs served over 15,000 youth and parents since their launch in 2009. Hip Hop 4 Life's Board Of Directors, as well as Council members, is jammed packed with some of the industry's finest. With support from some of the worlds renown companies and foundations. Starda is just one of many additions to the HH4L team. Along with hiring a new wave of NYC's finest and youngest Teaching Artist, Hip Hop 4 Life has also developed new innovative programs for the the youth. Learn more about Hip Hop 4 Life here! It has been one year since the "Forever Live Fly Presents: Lets Start With Art Festival," made possible (in part) by the 2014 DCA Premier Grant. Awarded to Starda by the Staten Island Arts, with public funding from the New York City Department of Cultural Affairs. In celebration of the fresh young talents that have been rising from the Staten soil, Starda has teamed up with previous "Lets Start With Art" headlinerJodi DaReal, to produce a platform for teen to showcase their work and take their new found "buzz" and confidence into the new school year. This event was inspired be the middle school children of the New World Charter School, after DaReal and Starda worked together as Music and Art teachers, through the Port Richmond PAL site over the summer of 2015. The event will be held in Faber Park. All talents will not be charged and neither will any of their guest. Performers not only get the chance to rock a crowd of family and peers, but also have the opportunity to be chosen for bigger showcases and venues produced by a number of Starda's affiliate organizations city- wide. Click here for more information about Jodi DaReal! The Art Cartel sat down with DJ Forbes at the kick off of the "Starda Presents S.O.S. (Stories Of Staten) Concert Series." 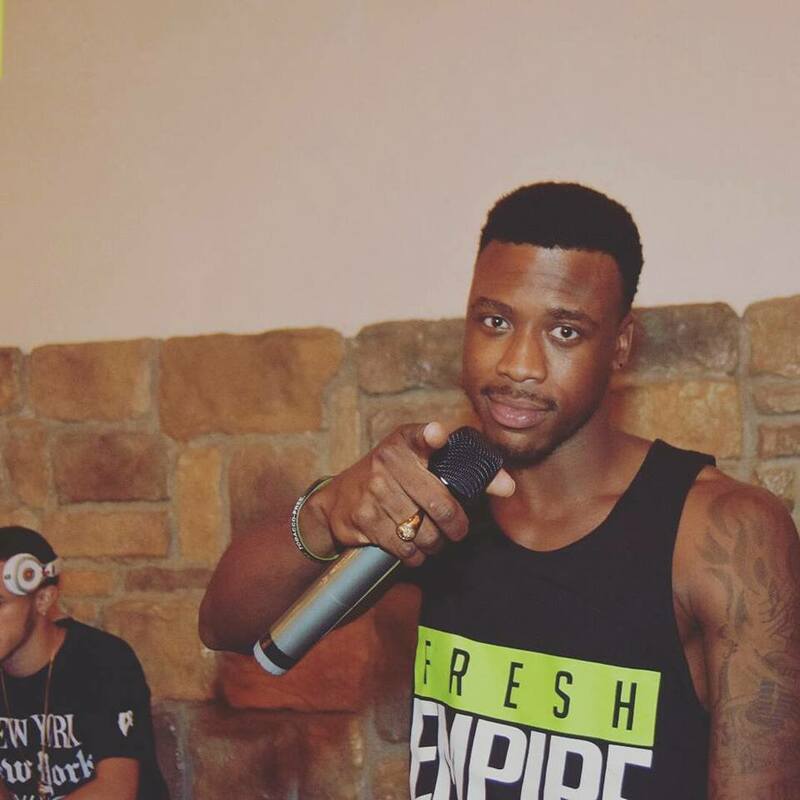 DJ Forbes is a NYC based talent and Staten Island Native. Spinning in renown venues like Times Square's BB Kings, and now Snug Harbor Cultural Center & Botanical Garden's historical Music Hall. Starda founded the S.O.S. series to open the opportunity of celebrating the hard work and dedication that goes into the culture, to young emerging talents, in bigger venues across the NYC. Starda once again collaborates with NYC Underground, The Staten Island Artist Building Corporation, TechBox, Guerilla Revolution, and many New York talents to produce another successful community festival. This time providing their guest with a full day of music performances, live visual art, various vendors, comedy acts, poets, and dancers. The "Heart Of Art Festival" was designed to introduce each creator's talents and message to a broader crowd. A platform for artist to network with not only new fans but other creatives as well. Each act kept the crowd engaged and energetic, all excited to have the opportunity to speak to each artist face to face about their work. Over the past two years, Starda has had great success in the education system. Teaching Hip Hop and Spoken Word to various High Schools throughout Staten Island. During the summer of 2015 he will be working through the Police Athletic League, as Port Richmond's base Music Specialist. This time teaching the craft middle school children. The summer program also offers dance, robotics, mathematics, visual arts and recreation classes for their young campers. The PAL has also collaborated with Building Beats, a non profit organization that develops and expands DJ and music programs that teach entrepreneurial, leadership, and life skills. Building Beats will be working specifically with Starda's Lyric and Spoken Word program throughout the summer. Not just providing the campers with a great summer trips, but giving them a creative outlet where they can be free to express themselves. A very important outlet to have at these developing ages. The Flagship Brewery has not only the freshest beer on Staten Island, but also an amazing venue a walk away from the Staten Island Ferry. Starda has collaborated with Flagship to bring to S.O.S. Concert Series to their brewery. Whats better than a fresh beer and a rock concert? In celebration on Starda's High School friend and current business partner Charlie Rock, emerging Staten drummer. This event will be full of various local bands, performing a surprised set for the audience. This event will be June 12th 2015. Be sure to check out www.theflagshipbrewery.com for more information on their tasty beers and welcoming space! Starda collaborates with Make Music New York and NYC Underground to produce another epic festival celebrating young visual and music artist, at the Alice Austen House. In the summer 2014 Starda produced the national landmarks first urban concert, funded by a Premiere Grant given to Starda by The Department of Cultural Affairs and Staten Island Arts. June 21st 2015, he is back with a bigger and better festival, apart of the 10th Annual Make Music New York concert series. Make Music New York produces over 1,000 free concerts throughout the five boroughs in one day, promoting culture and unity to the New York communities. Starda will be working with MMNY, as well as emerging brand NYC Underground, to bring the S.O.S (Stories Of Staten) Concert Series headliners onboard to hit yet another historical stage. As well as displays and live art from some of the boroughs top emerging visual artist and fashion lines. After the success of the first S.O.S ( Stories Of Staten Island) Concert Series, produced by Starda in the historical Snug Harbor Music Hall, Snug has not only asked Starda to produce the S.O.S Concert as a annual series, but for him to curate future community events throughout the rest of the grounds. The first S.O.S. event kicked off May of 2015. Celebrating Staten Island talents this event was the first to showcase emerging artist from the community circuit as headliners in the boroughs biggest cultural center. The S.O.S. Concert was in collaboration with Snug Harbor's S.I. Performing Artist Festival. Starda hand picked the acts and coordinated the music portion of the night. Bringing young talents from ages 17- 24 to a venue that Starda himself had dreamed of performing in since he was first introduced to the grounds at the age of 8. The future events will continue celebrate and showcase the hard work and unity of young S.I. talents. Starda will be curating concerts, poetry slams, art galleries, festivals and much more. Starda first entered the Snug Harbor offices as a volunteer in 2012. Then becoming executive Marketing & Communications intern 2013. Now Starda will carry out his dream of creating platforms for all local artist throughout these historic grounds, in 2015 and beyond! Snug Harbor Cultural Center & Botanical Garden is the result of more than three decades of restoration and development to convert the first home for retired sailors in the United States to a regional arts center. It is a place where history, architecture, visual arts, theater, dance, music and environmental science come together to provide a dynamic experience for all ages. One of the largest, ongoing adaptive reuse projects in America Snug Harbor consists of 26 historic buildings, nine distinctive botanical gardens, a two-acre urban farm, and 10 acres of wetlands on a unique 83-acre, park-like campus. Six of Snug Harbor’s original buildings were the first to be designated as landmarks for New York City’s Landmarks Preservation Commission in 1965. These include the majestic Greek Revival-style Music Hall, one of the oldest concert halls in New York City, second only to Carnegie Hall. It serves today as a centerpiece for the performing arts. Nine distinctive gardens spread across the campus and include the celebrated New York Chinese Scholar’s Garden, the Richmond County Savings Foundation Tuscan Garden, the Connie Gretz Secret Garden, and the Healing Garden. Growing from their Brooklyn based station to a breath taking station and office on Wall Street in just three years of business, Source Life Radio has been one of NYC's top sources for music and media. Broadcasting to a international fan base, Source Life Radio delivers a daily dose of fresh, uncensored Hip Hop, R&B, and Reggae. 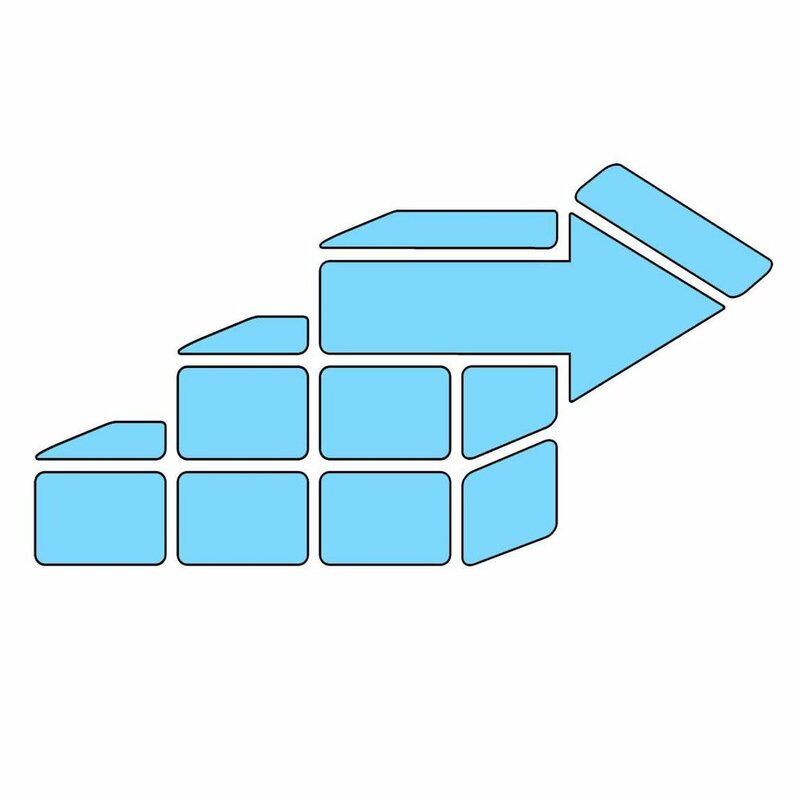 Source Life Radio is a unique radio station that focuses on making hip-hop music and culture apart of daily programming across several nations, via the Internet. Source Life Radio is home to a Dream Team of names in Hip-Hop radio… DJ Dreamer 524, DJ Rugged D, M.ost E.lite L.ady, Mizz Jackson, Savage Jones, Shyne 301, Marlowe, Whip Montez, Media Mayhem & the Bibeau Twins. Interviewing your favorite up-and coming artists, as well as well-known artists in the music industry today, to help enhance the artistry of legends from all facets of the culture. Hip-Hop enthusiasts, unite! Starda has become the new Co Host to music artist and radio personality Vonn Jackson ( a.k.a. Mizz Jackson) of "The Mizzfit Muzik Show." The show supports and promotes emerging talents, giving hard working artist across the globe a platform for their work to be heard and appreciated. 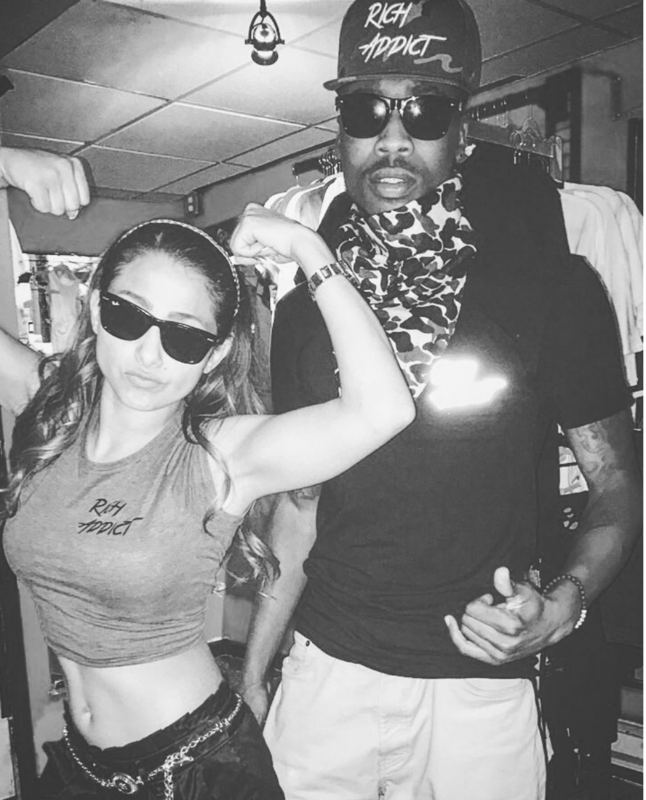 Keeping up with the rapidly evolving culture, "Mizzfit Muzik" is all about displaying creative freedom and bringing great music back into style. Listeners can tune into the "The Mizzfit Muzik Show" live every Wednesday from 7PM- 9PM Eastern Time on www.SourceLifeRadio.com as well as their free SourceLifeRadio app found in the Android and IPhone markets. Starda collaborates with NYC Underground, The Art Cartel, Sung Harbor Cultural Center & Botanical Garden, Flaghship Brewery, The Alice Austen, and Make Music New York to produce the S.O.S. Concert Series! 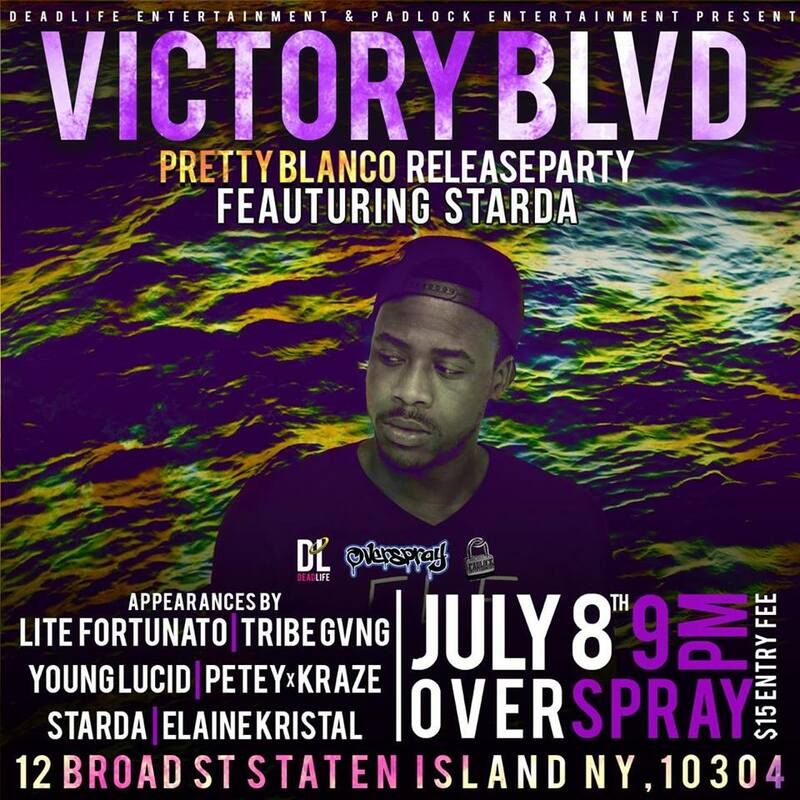 Showcasing Staten Island emerging artist and brands. This concert series os the first of its kind, giving local talents from various genres of music and arts the opportunity to bring their talents to historical venues. The kick off will be May 29th at the Sung Harbor Cultural Center & Botanical Garden's Music Hall. This is another dream come true for Starda, and hope to continue to create annual platforms for young talents city wide. Starda is now running the Hip Hop/ Spoken Word after school Program named "The Starda Club" in Curtis High School. Starda has brought in professional recording artist and musicians to come speak to the students, help them create their own work. The students will learn about the Hip Hop and Spoken Word culture, as well as how to produce their own pieces. In collaboration with the Art Cartel, the students with be recorded and displayed on the schools brand new display screens throughout the lobby and cafe. This program is apart of a nation wide experiment with only 200 school selected. Starda continues to reach out to the youth and arrives at Tottenville High School as a Hip Hop/ Spoke Word Teaching Artist for their spring semester. Starda and SunDog Theatre collaborate once again to encourage the students apart of the YABC program, to tap into their deepest thoughts and dreams, and use creative writing as an outlet. 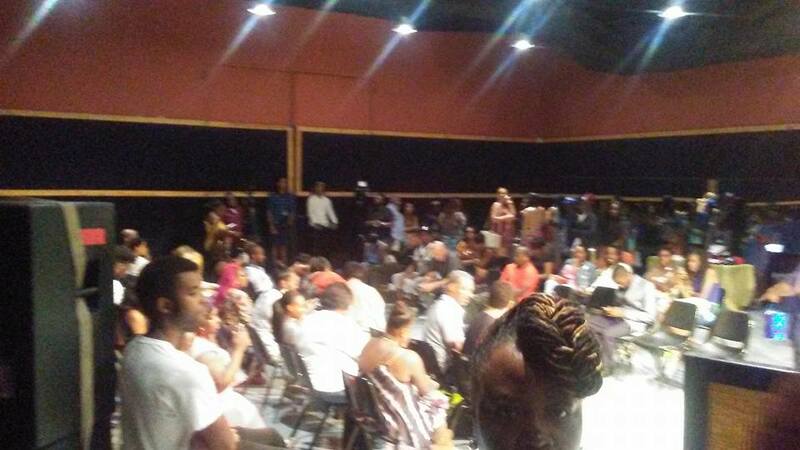 Starda and SunDog bring the students to Moon Studios to record their self produced CD. 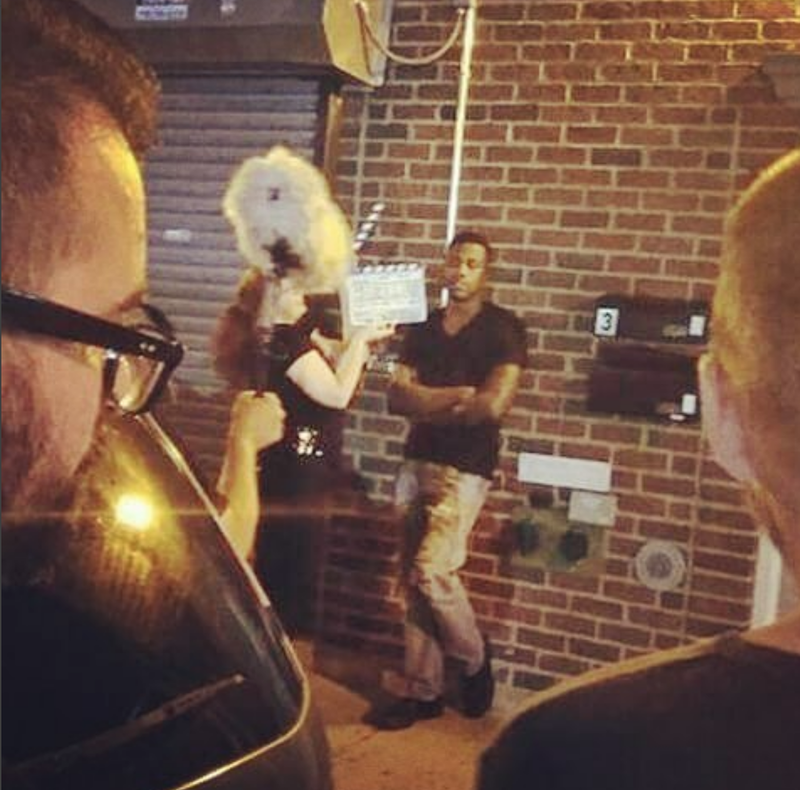 STATEN ISLAND, N.Y. -- Part film fight, part block party -- it's all going down in Staple-town when Staten Island Artist's Building Corporation launches its "Cinematic Uprising" from 2 to 11 p.m. Saturday, April 18, at 73 Wave St. It's meant to be a networking gathering for artists and filmmakers -- but the public is welcome! -- in advance of SIABC and Guerilla Revolution Productions' film competition, which kicks off May 2. *Contest rules are on Facebook. Throughout the day, artists-in-residence will open their doors to the community to showcase their work and movie makers can meet. Plus, expect a live outdoor spray-painting event from Manhattan's famous east side Centre-Fuge Project, free food and a full set from S.I. rapper Starda. Starda is given the position of Chapter Advisor for the Gamma Chapter of the Upsilon Delta Eta, local Staten Island sorority based in the College of Staten Island. Starda will act as an advisor to Chapter President, Stephanie "Zest" Figueroa. As well as mentor to each individual sorority sister. Starda works with the organization to produces various philanthropy events and promote unity within with community. 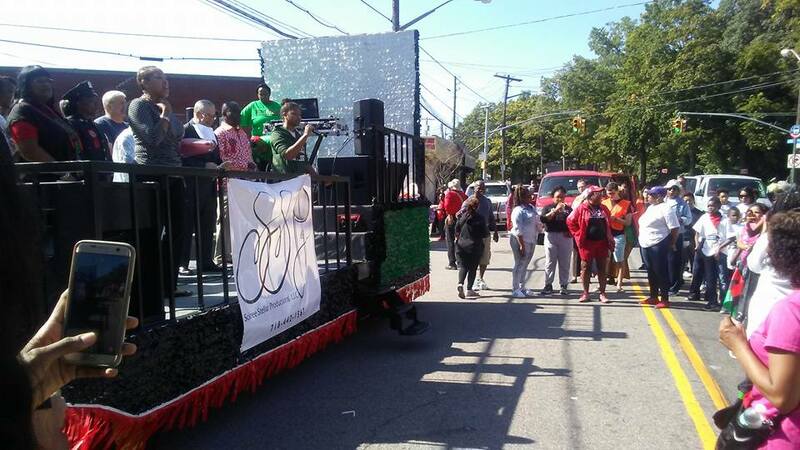 Children of the City’s 2014 Annual Carnival was a bigger success than ever before! With more than 700 people in attendance, the COC yard was packed with smiling faces and fun activities for all to enjoy. We featured a huge bouncy house, face and nail painting stations, sand art and games such as tug-of-war and potato sack races. For parents, COC offered a workshop led by our generous sponsor, HealthPlus, on nutrition and healthy eating. For families, we offered affordable health services from our partners at Maimonides Hospital and Parish Benefits. Parents also had the opportunity to register their children for exciting upcoming events as well as our Create Success Afterschool Program which provides much needed academic support to local youth throughout the school year. We want to thank all who volunteered and contributed to make this event possible for the children of Sunset Park. Being from challenged economic households where visits to amusement parks or nail salons is not affordable, the children are always thrilled to come to the COC site every year to enjoy fun activities with their peers in a safe and welcoming environment! Starda arrives at the 29th Neptune Ball, one of Snug Harbor Cultural Center & Botanical Garden's biggest annual event. Networking with some of the city's most influential public figures, and sharing views on how to strengthen the cultural awareness amongst the youth. Forever Live Fly Presents: Lets Start With Art Festival celebrated and encouraged the freedom and unity of creative expression among youth on Staten Island. Opening with a celebration of three visual artists, Arjuna Routte- Prieur, Marcus Allen and J.REAL will place their artwork on easels. A live concert featuring a mix of different musical genres will showcase the music of Jessie Kuffner (Folk/Pop), Laya LaRoche (R&B) and close with Starda (Hip-Hop). This event has broken barriers, celebrating young local talent at a national landmark, The Alice Austen House. This was the venue's first production showcasing urban talents. This program is made possible (in part) by the 2014 DCA Premier Grant. Awarded to Starda by the Staten Island Arts, with public funding from the New York City Department of Cultural Affairs. 2014's Staten Island Summerfest features "The Starda Kit," Starda's first concert. Made possible by the 2014 Excellence In The Arts Award, awarded to Staten by the Staten Island Arts .Starda’s performance featured approximately eight to eleven songs, curated into a timeline tracing details about his life, starting with songs about his home and leading all the way to songs about experiences chasing his dreams. 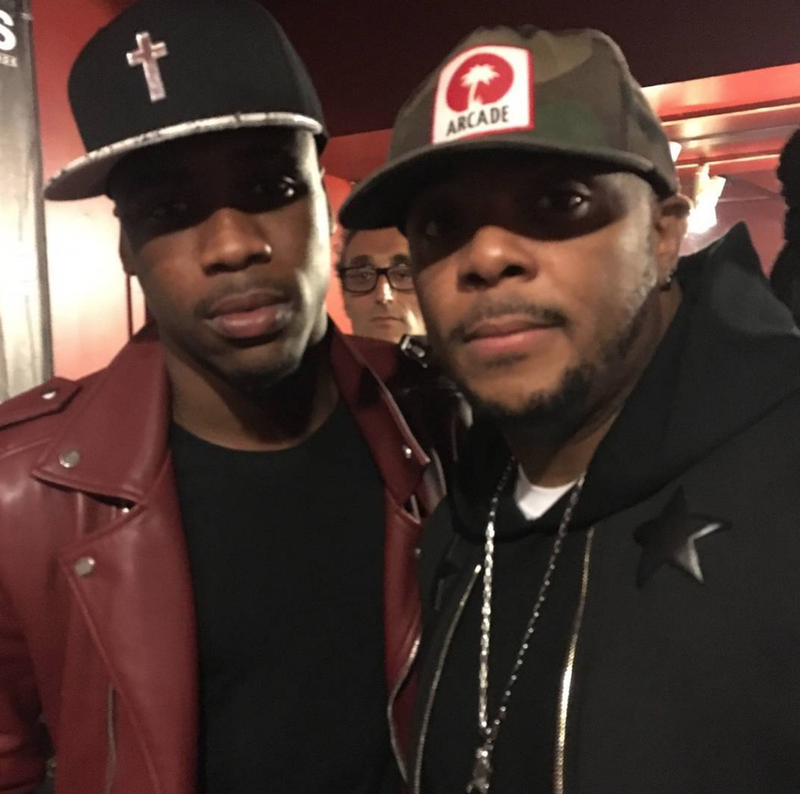 Starda performed songs from older records that first got him recognition, as well as new material from his up coming debut album to represent the growth that comes along with staying true and working hard at the craft. 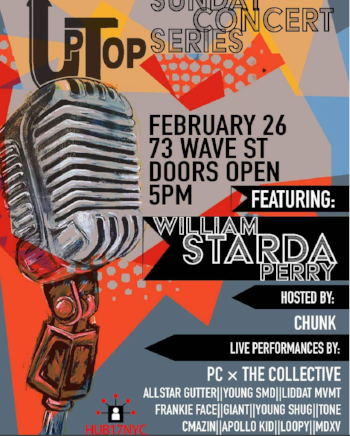 Starda will demonstrate how Hip-Hop can be fused with many genres of music by collaborating with diverse artists like Laya LayRoche (local R&B queen) and drummer Charlie Rock (local rock artist). This Hip Hop concert was the first of it's kind on Staten Island, held at the Great Kills Train Station. After returning to his old high school as a Hip Hop/ Spoken Word Teaching Artist, Starda is honored with the opportunity to give the commencement speech and live music performance at Concord High School's Graduation, Class of 2014. Starda shares insight on life after high school and chasing dreams along the journey. Published by SI Live, Staten Island Advance. STATEN ISLAND, N.Y. - Staten Island Arts -- formerly known as the Council on the Arts & Humanities for Staten Island (COAHSI) -- will host its annual Ga.la* (*Give to art. Love art.) on Thursday, Oct. 17, at the Grand Plaza, Great Kills. Cocktails and hor d'oeuvres will be served from 6:30 to 8 p.m., and a buffet feast begins at 8 p.m., followed by a presentation of awards to this year's honorees. Music will be provided by Joan Caddell & The Midnight Choir, and there will be a special trunk show featuring affordable art and items created by Staten Island artists. Admission is $125 per person ($60 tax-deductible). Tickets are available online at statenislandarts.org. The Service to Staten Island Arts and the Arts Community Award will be presented to Casa Belvedere, The Italian Cultural Foundation, Grymes Hill, in recognition of its innovative programs, exhibits, and events, which help to preserve and promote an appreciation of Italian language, arts, literature, history, fashion, cuisine, and commerce while also celebrating Italian heritage and the contributions of Italians and Italian-Americans to the fabric of the United States. The award for Achievement in the Arts and Humanities will be given to Vito Picone, who formed the Staten Island based doo-wop group The Elegants in 1956, and co-wrote their #1 hit single "Little Star." The record sold over 2.5 million copies worldwide and solidified the group as the #1 R&B and the #1 Pop artists of that year. The group toured throughout the United States, Canada, and Mexico in the late 1950s and early 1960s. The Emerging Young Artist Award will go to William (Starda) Perry for his self-starting entrepreneurship. 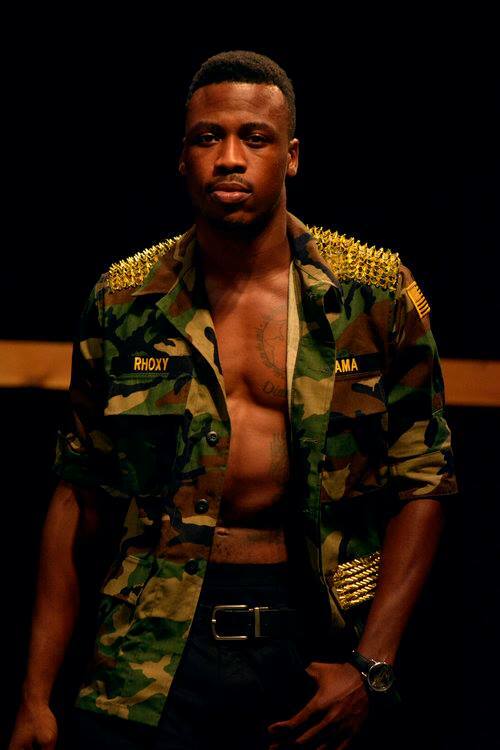 A Hip Hop recording and performance artist, and a song writer, actor, model, and aspiring visionary. 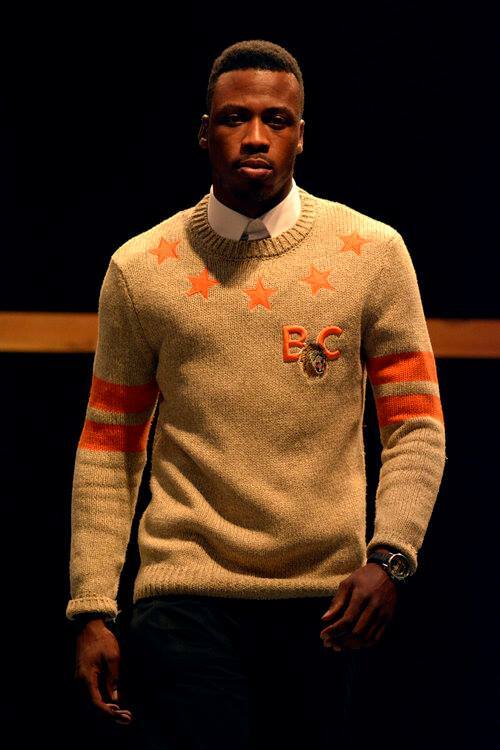 Starda is the co-founder and senior public relations officer of the emerging clothing line, Forever Live Fly. He is also the accounting executive for 'Making MemorEase,' a high-end event planning company. 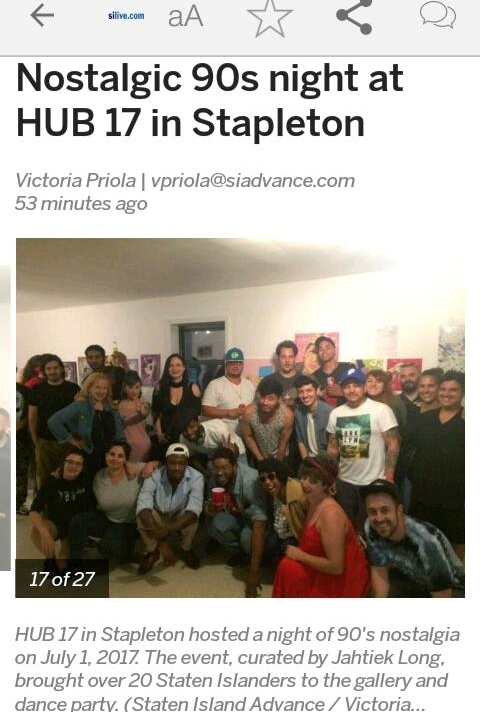 The mission of Staten Island Arts is to cultivate a sustainable and diverse cultural community for the people of Staten Island by making the arts accessible to every member of the community; supporting and building recognition for artistic achievement, and providing artists and organizations wotj technical, financial, and social resources to encourage the creation of new work. After deciding to purse his interest in event planning, Starda obtains a very rewarding internship with multi service and high end event planning company, Making MemorEase LLC. Starda was honored with the opportunity to learn the ropes from the companies CEO, Christopher Guzzo. 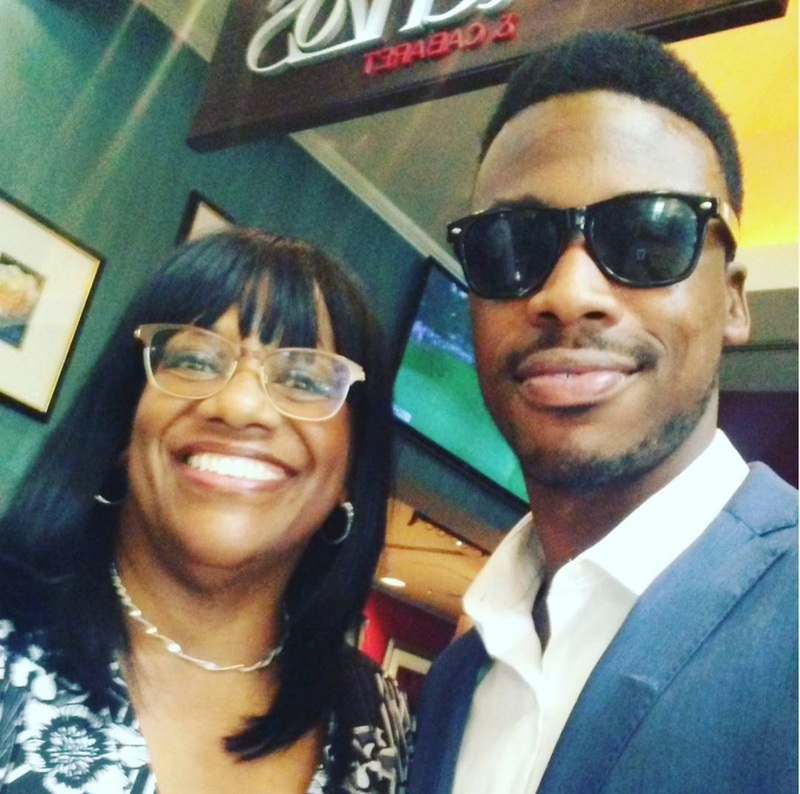 After three insightful months of his internship, Starda was then given the opportunity to act as an Assist Coordinator for his first red carpet event. A fashion show held in The Empire Room of the Empire State Building, for A Slice Of Hope LLC. Mr. Guzzo was impressed with Starda's resourcefulness and ability to take charge in an overwhelming work environment. Starda was promoted to a permeant position within the company as an Account Manager and Assist Coordinator the next morning. The first event of it’s kind at the Full Cup on Staten Island, NY. The “Fashion meets Music” showcase was formed to introduce diversity, platform talents, and showcase creativity. Live fashion show and music showcase involving three other well respected brands and small businesses on Staten Island. PinkieQ a custom accessory line ( as pieces seen on Love and Hip hop.) Sews it all a custom dress designer line, and StereoTypeCo a custom apparel brand. Marcus Allen a graphic designer introduced his artwork that was decorated around the Full Cup. Four artist completed the showcase with live performances. Tyrone Briggs (featured in XXL & Vibe magazine), Starda (S.I emerging young artist award honoree), Laya LaRoche, and Audible Chocolate. All artist from different musical genres. The house was packed with family, friends, and supporters. Sign up with your email address to receive news and updates on STARDA's upcoming music releases, merch, events, and more!